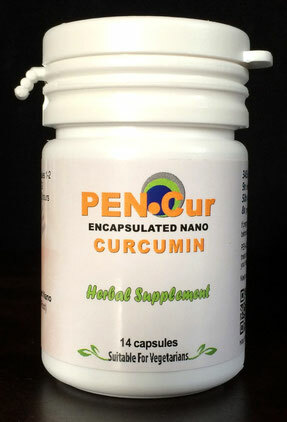 Not sure if PEN-Cur's curcumin supplement is the right choice? If you would like to test the effectiveness of our product on your disease or symptom, we are happy to offer FOR ONLY A LIMITED TIME & WHILE STOCKS LAST a FREE 14-day supply! Only pay USD 9.95 for the shipping cost! You will be added onto our newsletter subscribers list. And, we would also love some feedback once you've tried our product. Just fill out our form below as to why you want to sample our product. When we receive your email, the Paypal payment button will be emailed to you. Once that's done, we will ship out your trial sample!